With a passion for the very best ingredients and 160 years of experience to fall back on, Cirio is a textbook example of why not all tinned tomatoes are the same. 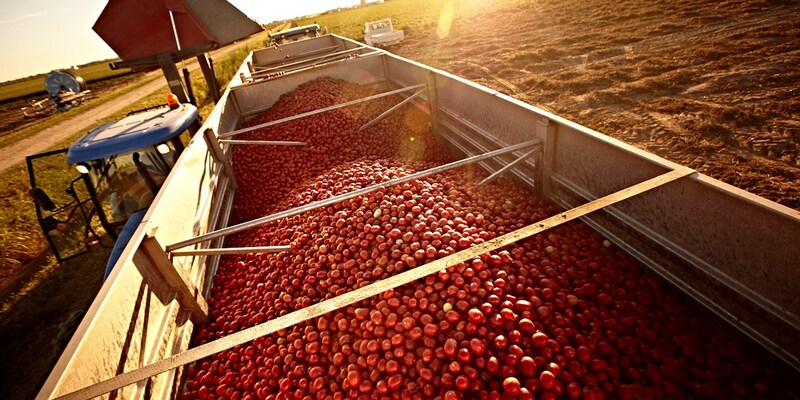 Get to know more about how the company started and why it’s at the top of the tomato game today. It’s fair to say that if you’re after the best tomatoes in the world, you turn to Italy. No other cuisine celebrates these fruits with such enthusiasm; they can be found in every aspect of Italian cooking, whether raw dressed in olive oil or as the base for a fantastic pasta sauce. Combine that with Italy’s overall approach to food – the best ingredients prepared authentically and simply to highlight the produce’s natural flavour – and it’s no wonder cooks all over the world want Italian tomatoes in their kitchens. Of course, not all recipes are best suited to fresh tomatoes, and here in the UK it can be difficult to source them, as they tend to lose their flavour when transported fresh in refrigerated trucks. Instead, we use that store cupboard staple – tinned tomatoes – to make everything from quick weeknight dinners to more complex dinner party dishes. While some tinned fruits and vegetables are seen as inferior to their fresh counterparts, tinned tomatoes are a cook’s favourite in both Italy and abroad. Not only do they save you the hassle of blanching, peeling, deseeding and chopping your own tomatoes, they're also available year-round as a quick-fire way to create sauces, soups and more – both fresh and slow-cooked. Today, British supermarkets dedicate whole aisles to tinned tomatoes, chopped tomatoes and passata, as the products have become so integral to our daily cooking. But the flavour and texture between brands can vary massively. As with any aspect of food, the quality of the produce you put in is going to have a drastic effect on the final product. And as Cirio is Italy’s most popular brand of tinned tomatoes, it’s safe to say their tins are the ones to reach for. But how do Cirio tomatoes differ from others, and why are they better? To find out how Cirio has managed to create tinned tomatoes that are a cut above the others, you have to go back to when it all started – 1856. A twenty-year-old man named Francesco Cirio was running a business exporting fresh Italian fruits and vegetables from Piedmont to Paris and London. Already an important businessman in the region, he realised his main issue was the short shelf life of the fresh produce he was selling. Taking a preservation method called appertization which had been invented in France and applying it to his fresh peas, he soon discovered that this process could be used to tin and preserve all sorts of ingredients – including tomatoes. A factory in Torino followed, and not long after Francesco was exporting his tinned produce all over the world. By the time of his death in 1900 Francesco had opened many more factories across southern Italy, boosting the local economies in the process, and Cirio had become one of the most well-known food producers in Europe. The company was handed to Pietro Signorini, a partner in the business, who continued Francesco’s work and started building a base for the company in Naples (where some of Italy’s finest tomatoes are grown). The business stayed in the Signorini family right up until 1970, during which time Cirio became a household name in Italy. Now focusing on tomatoes, Cirio has become something that’s instantly recognisable in Italian shops, each tin associated with quality above all else. 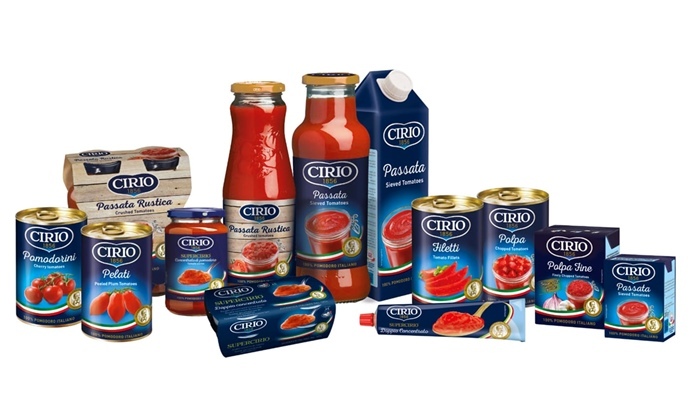 There are several different reasons why Cirio has become the benchmark in tinned tomatoes. 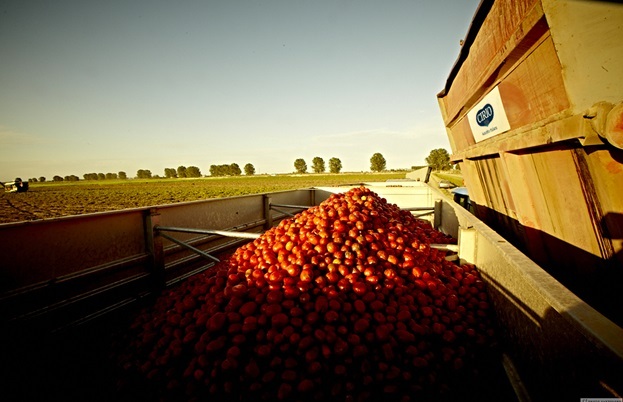 The most obvious boon the business has is that it has been producing the product for 160 years, building relationships with tomato farmers across generations which ensures they get the best of the best during each harvest. The business also focuses on tomatoes above all else, meaning the people who work at Cirio are true experts in their field. There’s also the geographical benefit of being a food business based in Italy. The Mediterranean climate and volcanic soils combine here to create perfect tomato-growing conditions, and Italian farmers cultivate a wide range of tomato varieties every year.With access to such fantastic quality and diversity of tomatoes – which are picked at their ripest and tinned within twenty-four hours – Cirio’s job is made all the easier as the farmers they work with are growing the best tomatoes in the world. That’s why Cirio’s tinned tomatoes are completely GMO-free and contain no added salt, sugar or other flavourings; the natural flavour of the tomatoes is more than enough. 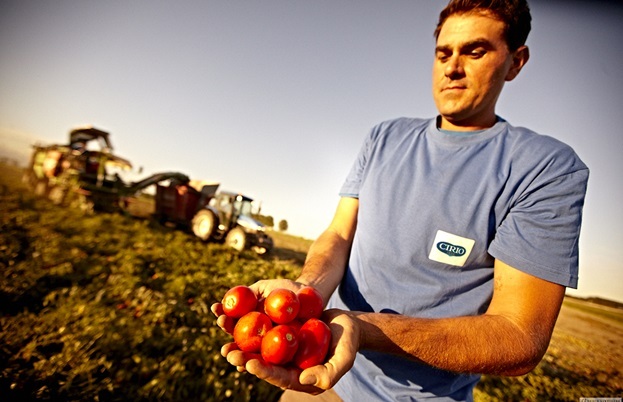 Working directly with tomato farmers also means Cirio knows the importance of sustainable farming, securing many more years of fruitful harvests. Whether you’re buying chopped tomatoes, peeled plum tomatoes, passata or tomato purée, it’s important to realise that these products are far from a commodity. We all know the difference between mass-produced, watery and tasteless tomatoes versus ripe, flavourful tomatoes picked straight from the plant; it’s high time we got on board with the Italians and realised that tinned tomatoes still need to be the highest quality when they’re harvested. And seeing as Cirio is the most respected brand amongst Italian home cooks, it follows that their tinned tomatoes are the cream of the crop.